They inhabit fresh, brackish, and coastal waters. They prefer marshes, lowland streams, swamps, and estuaries. The body of a sailfin molly is especially oblong. The head is small and dorsally flattened, with a small, upturned mouth. In males, the dorsal fin is greatly enlarged and colorful. Females tend to be larger and more plainly colored. The body is generally grey with several rows of spots occurring along the sides, back, and dorsal fin. These spots tend to blend together to form stripes. Small fish with males being from 15-51 mm and females 19-53 mm. 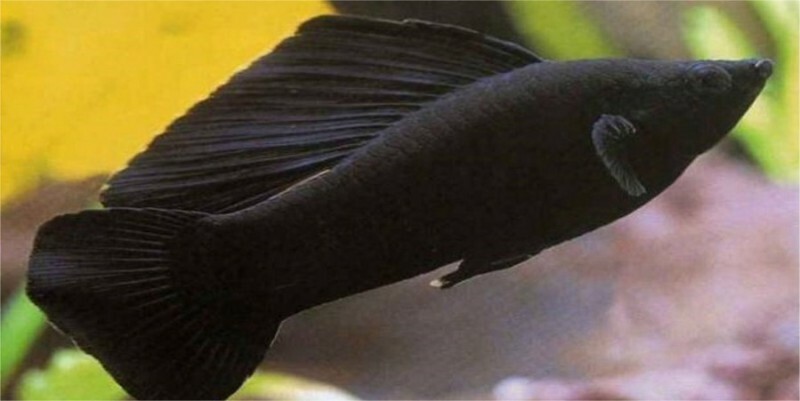 Sailfin mollies feed primarily upon algae and other plant materials, although they will consume a number of aquatic invertebrates including the larvae of mosquitoes. Sailfin mollies produce broods of 10-140 live young. The gestation period for this species is approximately 3-4 weeks, depending upon temperature, and a single female may give birth on multiple occasions throughout the year. There is no parental care exhibited by this species. This species is listed as least concern on the IUCN Red List.